Welcome...to Stained Glass Creations by Suzi. Located in Southern Arizona 10 miles north of Nogales and 50 miles south of Tucson, we offer full custom stained glass work for your home or business utilizing your design or ours. Suzi has been involved in stained glass work for over 20 years and exhibits primarily at arts and craft shows all over the southwestern United States. Please see our Calendar for upcoming events and shows. Visit our Gallery to get an idea of the types of work we do. 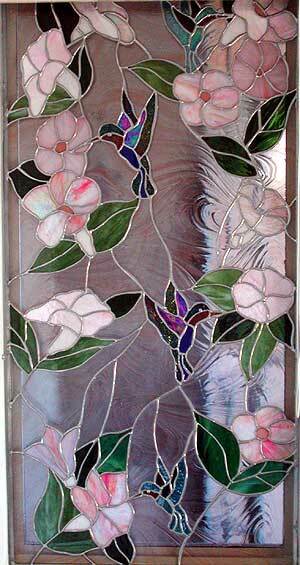 Stained Glass Creations by Suzi Copyright © 2002. All rights reserved.